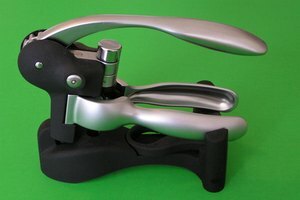 Rabbit corkscrews use a lever-operated corkscrew to remove the cork from a bottle of wine. Because they are mechanized, rabbit corkscrews operate with a minimum of twisting and pulling on your part. Instead, you open your wine bottle by holding a pair of handles and pulling a lever. Opening wine with a rabbit corkscrew is quicker and easier than using a traditional corkscrew. You can enjoy your wine without first struggling with the cork. 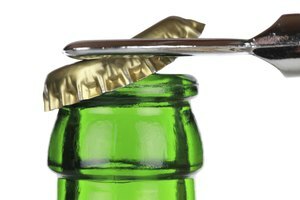 Remove the protective foil cover from the bottle of wine with the foil cutter. Rabbit corkscrews are not designed to pull the cork through the foil. 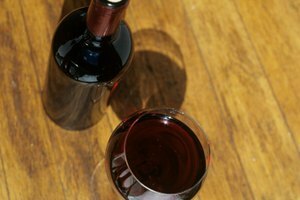 If the bottle of wine has a wax seal, remove that as well. Hold the rabbit corkscrew’s gripping handles in one hand and raise the lever with your other. The corkscrew will raise itself into an elevated position. 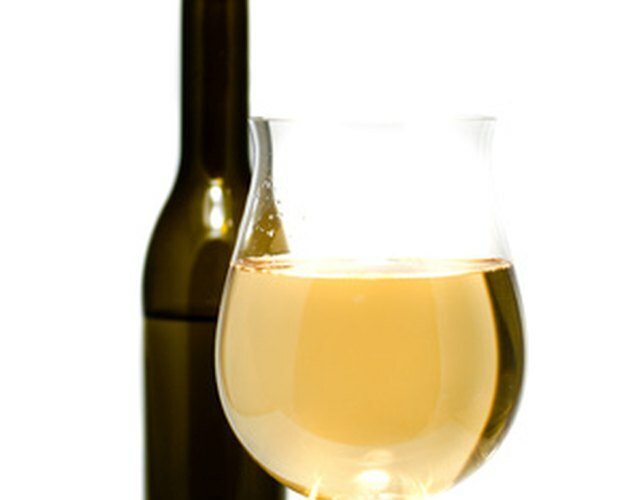 Center the corkscrew over the cork and lower the opener into place over the neck of the bottle. Squeeze the gripping handles to attach the corkscrew to the bottle and maintain a firm grip while removing the cork. Raise the lever. The corkscrew will dig into the cork. Pull down on the lever to slide the cork up and out of the bottle. 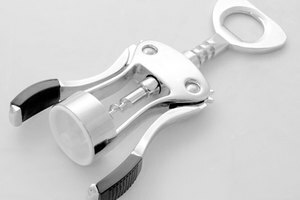 Loosen your grip on the gripping handles and lift the rabbit corkscrew off of the bottle. Remove the cork from the corkscrew by raising the lever to lower the cork and corkscrew. When the corkscrew is lowered, squeeze the gripping handles and pull down on the lever. The cork will slide off of the corkscrew.